P&O Cruises are revolutionising the cruising experience in Australia. With an array of new and exciting things to do onboard and some new ships, the P&O Brand continues to go from strength to strength. On a P&O Cruises holiday, the experience is up to you. Wake up at noon, wine and dine under the stars or simply lose track of time. 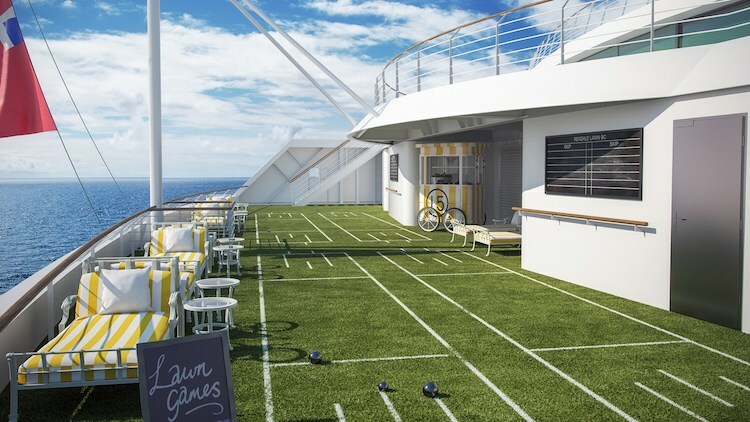 P&O are continually updating their fleet with fresh new interiors and and innovative entertainment and activities to lure new customers. The modern approach is luring a younger generation of cruisers who are eager to try new things. 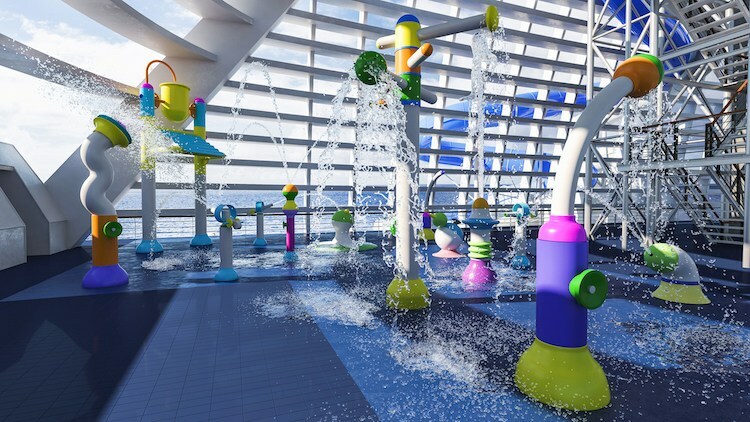 P&O Cruises has a relaxed atmosphere with family friendly activites on its modern fleet. 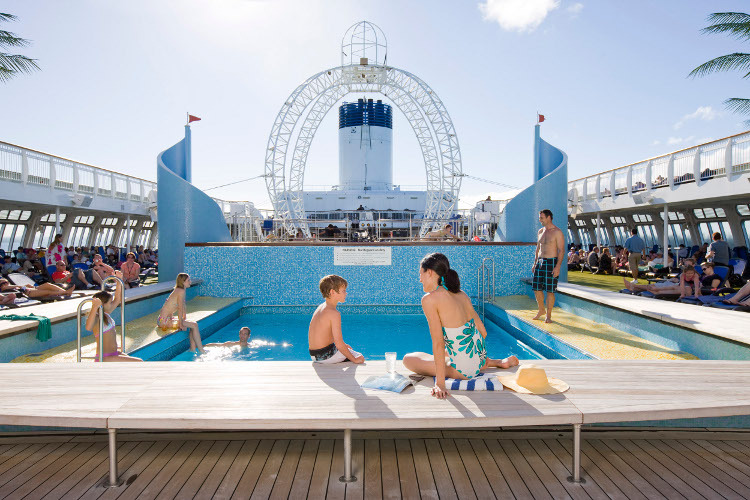 It's ships Pacific Explorer, Pacific Dawn, Pacific Jewel, Pacific Area, and Pacific Eden are some of the best family friendly ships in Australian waters. P&O Cruise ships are fitted with Australian power outlets, and operate with Australian dollars (AUD) with no tipping required. This is a big attraction as competing cruise liners sometimes operate on US Dollars with the expectation of further tipping. Whether it's your first time or you're a seasoned cruiser, there are an abundance of P&O Cruises to choose from. Cruises from Sydney and Brisbane include itineraries up the Queensland Coast, Pacific Islands cruises (Fiji, Noumea, Vanuatu). Cruises from Melbourne sail to Tasmania (Hobart, Bernie), Sydney and the Pacific Islands. 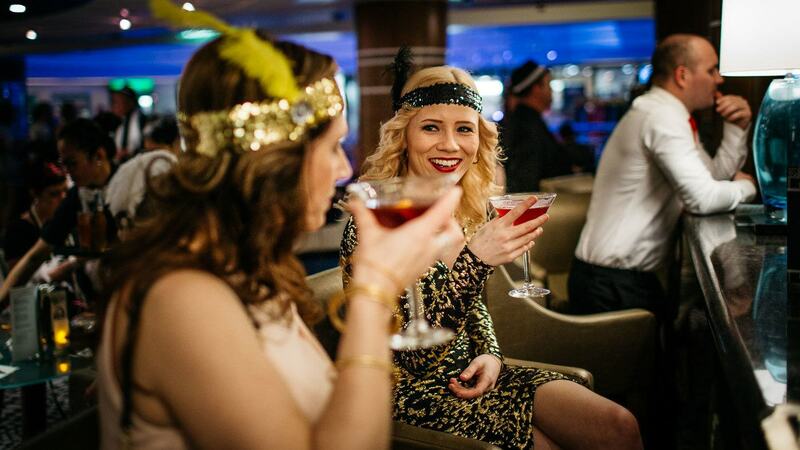 P&O Cruises are specialists in offering event and themed cruises. Events such as the Melbourne Cup, Australian Open, Christmas, New Years and Australia Day are all taken into account. 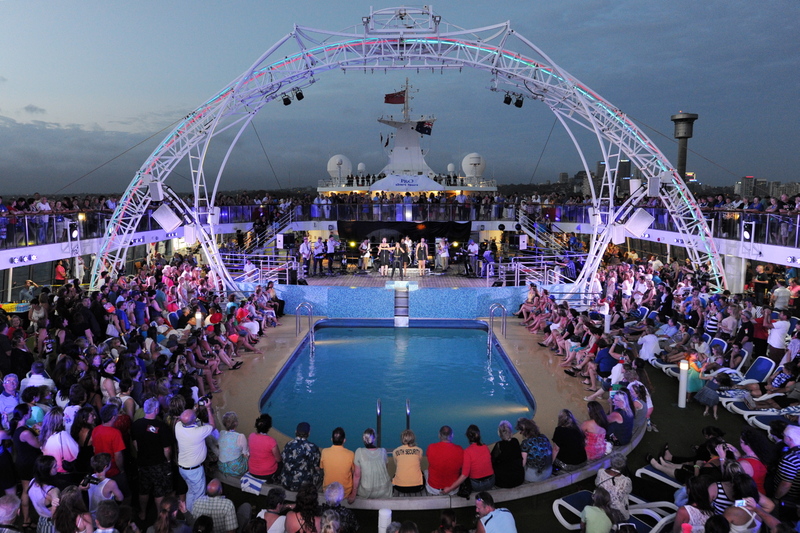 Popular themed choices include short Food & Wine Cruises, Comedy and Sampler options to whet your cruising tastebuds. Sign up to our newsletter for the best deals and specials or search our cruise finder for the latest offerings. Entertainment options are in abundance onboard P&O Cruises. Original production shows are choreographed by a leading Australian production company, exclusively for P&O. Be spellbound by amazing circus acrobatics, live music performances, and adults only comedy shows. All ships are fully equipped with a pool, gym and spa as well as various sporting facilities and fitness classes. Have a drink at one of the many onboard bars including The Dome which transforms into a nighclub into the evning, or a quiet drink at the Orient Pub. P&O have a number of Adults Only areas free from children. Spend an evening at the Adults only Comedy Club or take refuge at The Oasis a child free area to soak up the sun and settle in a deck chair beside the pool. P&O Drink packages vary - the Soft Drink Package starts from $7 AUD per person per day if purchased prior to boarding. Premium Beverage packages start at $79 AUD if pre-purchased, or enjoy "The Lot" for $95pp per day pre-purchased. P&O Cruises has the Largest Adventure Park at sea called "P&O Edge". For those after more adventurous experiences, you can try the flying fox, a spot of rock climbing, or gather your friends and family for a round of laser tag. For the budding Taylor Swifts, and Robbie Williams' amongst you, why take a Karoke session for a sing off! P&O Kids Clubs for children aged 3 to 7 offer age appropriate supervised activities which means the adults can relax knowing the family is well looked after. The Big Screen TV onboard P&O ships shows Sporting Events, Movies and even Wii Games. Kick back on the deck while watching your favourite movie! 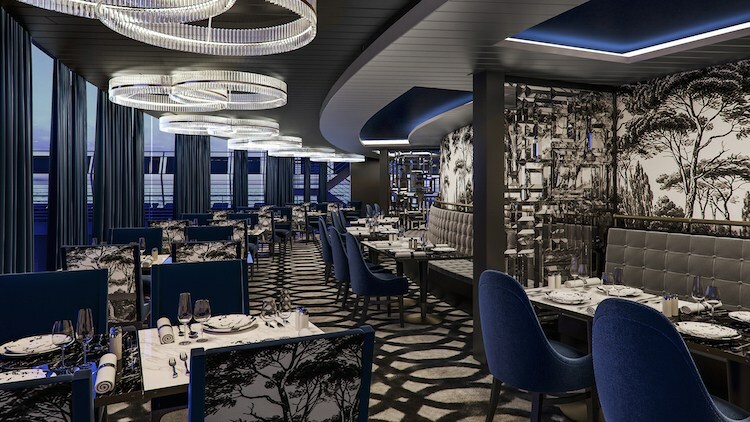 P&O have a minimum of eight dining experiences on each ship. Dining onboard is innovative and fresh with locally sourced Australian produce. Australian Celebrity Chef Luke Mangin also has his own restaurant at sea named "Salt Grill by Luke Mangin". From Italian upscale dining, to alfresco burgers on the Top Deck, P&O have all the options covered. P&O's newest ship Pacific Explorer has an amazing new specialty pizzeria "400 Gradi" which is becoming a passenger favourite. Restaurants onboard P&O operate in Australian Dollars with tipping optional. 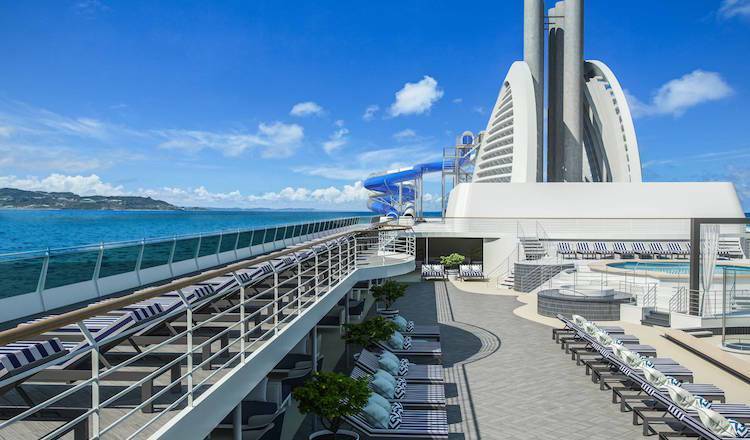 P&O's newest ship "Pacific Explorer" has been remodelled and contains two waterslides, a waterpark, barefoot bowling, rock climbing, not to mention a huge range of bars, pubs and live music venues. The Gatsby parting has been a huge success with cruisers eager to dress up for a night of dancing and twenties inspired entertainment. P&O was voted "Best Cruise Line for Families" by Cruise Passenger Magazine Readers' Choice Awards in 2016. This is no mean feat with fierce competition amongst the liners trying to woo passengers with the latest and greatest facilities. P&O was also awarded as having the "Best Itineraries" at the Australian Cruise Critic Editors’ Picks Awards in 2016. Knowing what passengers want is what P&O Australia does best with a variety of itineraries to suit all tastes and budgets. Whether you're looking for a short cruise from Sydney or a South Pacific Island Hopper, P&O has a long list of satisfied passengers who repeatedly book and endorse their offerings. 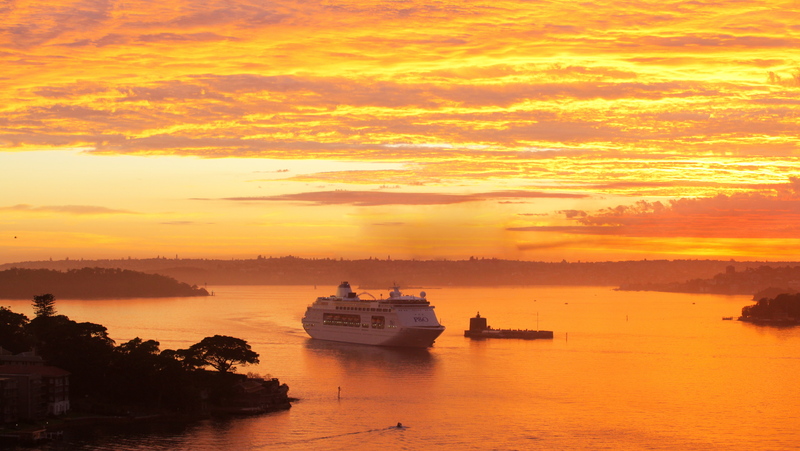 P&O Australia departs regularly from Sydney, Melbourne and Brisbane as well as other Australian and International ports. P&O Cruises from Sydney via the White Bay Cruise Terminal where you'll catch a glimpse of Sydney Harbour and the world famous Sydney Opera House. Other popular Sydney sights you may see on a P&O cruise could be Bondi Beach, the Sydney Tower, and Taronga Zoo. Cruises from Brisbane may have you visiting Moreton Island or Cairns, while P&O from Melbourne may have you visiting Kangaroo Island, Adelaide, Hobart or Eden and Sydney. Dedicated P&O Comedy Cruises onboard can have you laughing from ear to ear. The line up of comedians differs from year to year, however you can be assured you won't be left leaving without a smile. The race that stops a nation has it's very own Melbourne Cup Cruise. Itineraries differ each year however you'll enjoy 2-3 nights onboard with themed events and entry to Flemington. State of Origin Cruises have become a favourite for P&O passengers with Rugby League fans travelling from Sydney, and Brisbane to the Yearly events. P&Os Food and Wine cruises can have you learning how to perfect a Barrista standard Latte, or preparing a dish of restaurant quality standard. A seminar onboard may have you learning about the finer points of wine making or how cheese is matured. Happy days on the Jewel! !